And so the final leg of the Race. After two tough legs (one, long tough leg?) in Beijing, the final three set off to their final destination city, Maui, Hawaii. Tammy & Victor leave the Pit Stop first at 9:15pm, but find out at the airport that they can’t book tickets until 6am. That allows Margie & Luke and Jaime & Cara to easily catch up and have all three teams on the same flight to back to American soil. 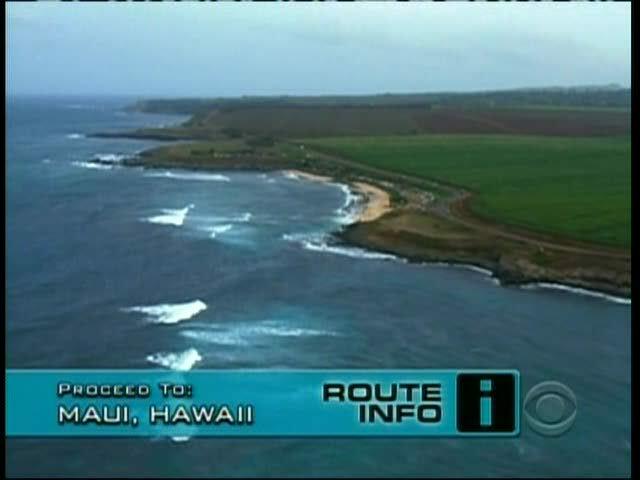 18 hours later, the teams arrive in Hawaii and Tammy & Victor are the first team out, Jaime & Cara are close behind and Margie & Luke bring up the rear. Teams are racing to Beach Access 118. There, they must prepare a 145 lb pig for a Hawaiian luau by seasoning it with island flavoring. 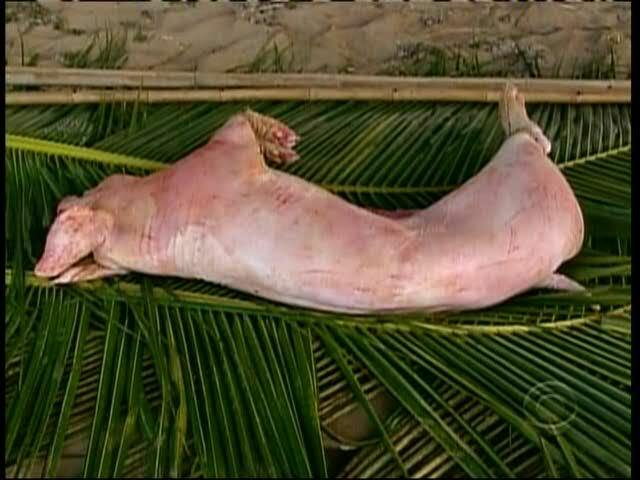 Then, teams will carry the pig using a bamboo pole 200 yards down the beach to the site of the luau where, using an example, they will cover it and get it ready for cooking. All that while in their provided swimsuits. Jaime & Cara change into their swimsuits in the taxi. Tammy & Victor arrive first and they start spreading the flavoring with Jaime & Cara right behind. 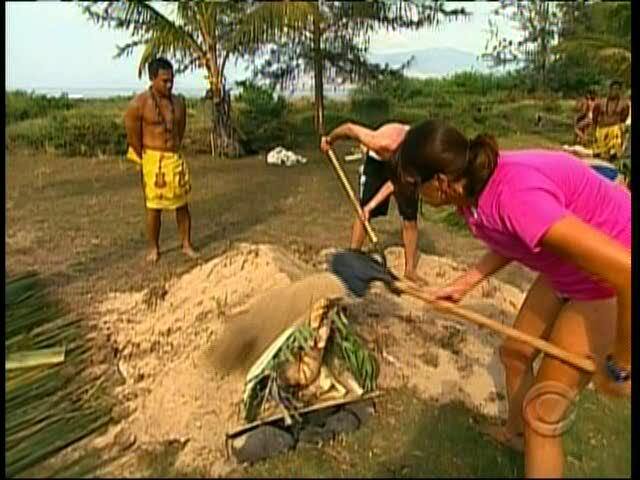 Both teams finish and start off down the beach, trying to hold up the heavy pig using the bamboo pole. Luke & Margie arrive, pour the flavoring on the pig and set off themselves, putting the pole on their shoulders. Tammy and Cara are struggling, dropping the pig every couple of steps. Margie & Luke catch up and pass Jaime & Cara. Soon, they pass Tammy & Victor. Victor is trying to get Tammy to push herself, while Jaime is getting frustrated with Cara. 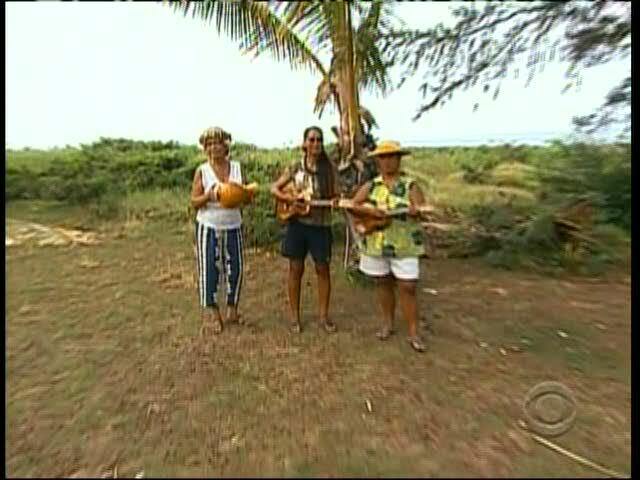 Margie & Luke arrive at the luau and start covering the pig. The other two teams struggle through and finally arrive at the pits. Margie & Luke finish and get their next clue telling them to head to McGregor Point. Taking a watercraft on a 1 mile ride, teams will head to a buoy field where they will search among 100 buoys for their next clue. Victor realizes they’ve made a mistake. They’ve put the palm fronds on top of the pig under the cloth and sand, when they didn’t need to. They dig them out, place everything back on top and get their clue. Jaime & Cara make the same mistake and leave third. They get to the buoys, but can’t find any clues immediately. They fall into the water as Tammy & Victor head for the buoy field. As Margie & Luke find their clue and head back, they pass Tammy & Victor and Jaime & Cara on their way giving the two teams hope to catch up. Jaime & Cara find a clue in the buoys first, but Tammy & Victor are close behind. 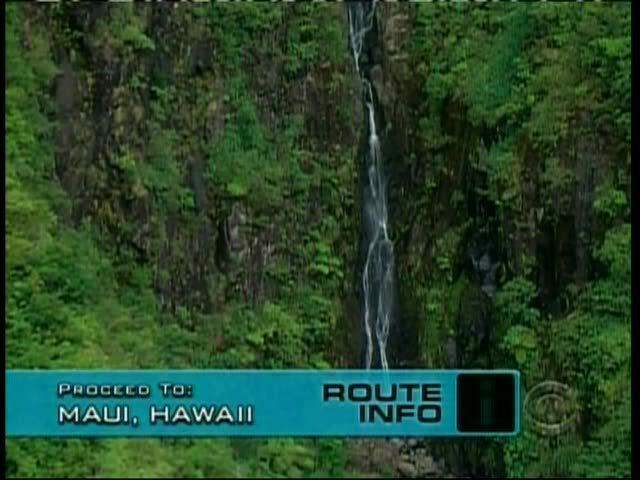 The next clue tells the teams to find a surfboard fence along the Hana Highway. Margie & Luke arrive first and find the Road Block. In this Final Road Block, teams must search through more than 300 vintage surfboards and find 11 with images of things they’ve encountered on the Race. They will then create a fence by standing the surfboards in the correct order. Luke does the Road Block and he gets off to a fast start. He has trouble keeping his shorts up, so he takes them off, leaving his speedo on. He finds an image of St. Christopher first for the Church of San Antonio in Leg 1, the ruble from Leg 4 and the Krasnoyarsk Dam, boats for the boats in Bangkok in Leg 8. Meanwhile, the other two teams are trying to get to the surfboards. Jaime & Cara’s taxi driver takes them somewhere with surfboards along a wall, to which their driver says that definitely looks like a surfboard fence to him. It’s the wrong place. They stop and the driver asks the cab company dispatcher for directions. She doesn’t know where it is either. Jaime gets frustrated and the dispatcher says she has no time to be Jaime & Cara’s personal concierge. They decide to call the police and they finally know where to go, but they need gas. On the other side of the island, Tammy & Victor are slowed down by a very slow jeep in front of them. The jeep doesn’t seem to care, and cars are not allowed to pass on this road, so they have to wait. By this time, Luke has found the tiger for the Phuket Zoo in Leg 7, the nose whistler in Jaipur for Leg 6, the Lada from Novisibirskm the Guilin Cormorant from Leg 9, and the Gymnastics from Leg 3 in Romania. Tammy & Victor finally arrive and Victor chooses to do the Road Block. Luke finds the gondola from Leg 2 in Ruhpolding, leaving the last two for him. Victor takes his shorts off as well as Luke takes the wrong surfboard back for Leg 10. Jaime & Cara’s taxi driver quickly fills the car up with gas. “I’m sorry that I yell Reynold, but this is very stressful for me,” Jaime says to their driver. Luke takes a board back for Leg 11, and thinks he’s done, but the girl in a bikini says no. Victor, though, finds the correct board for Leg 10 with a reflexology foot chart from the enjoyable Beijing foot massage. Luke thinks only his last board is wrong and goes back with new boards to change it, but is still wrong. Again, Victor finds the board Luke is missing, Leg 11’s scorpions on a stick from the eating Road Block in Beijing. Luke starts getting frustrated just as Jaime & Cara arrive, happy to see two taxis still there. 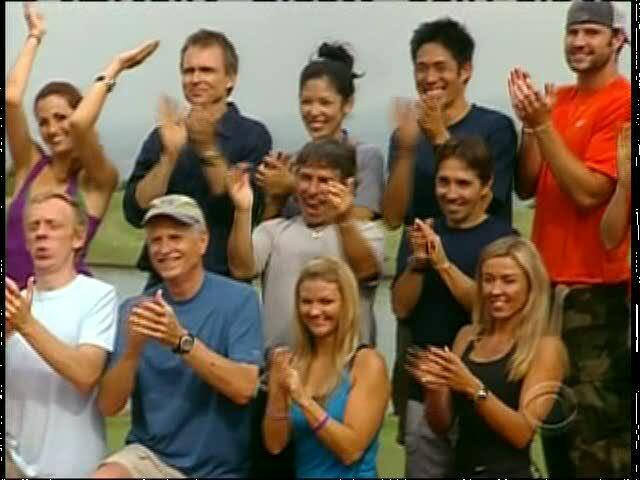 Jaime chooses to do the Road Block and all three teams are now there. Jaime has no clue how to start, nothing on the boards she’s ever seen before. Victor is moving faster and faster while Luke continues to bring the wrong boards back to his fence, still thinking he’s only got the last one wrong. Shades of Chekov return as Luke’s frustration grows. Victor now has two boards left to find, same with Luke. Jaime starts gaining momentum as well, only having four missing boards as she carries one back. Luke finally puts the feet into Leg 10, leaving his last spot the only one left. Jaime needs Leg 1 and leg 8 only, while Victor only needs the car from Novisibirsk. Victor completes his fence and as the other teams look on, he is handed their next clue. 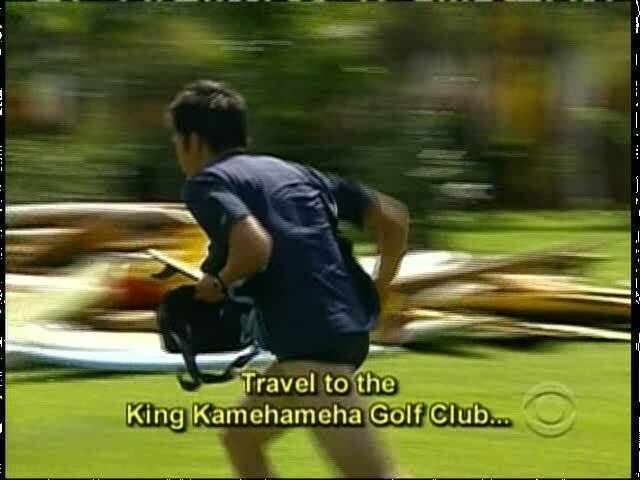 The final clue tells them to head to King Kamehameha Golf Club and find the Finish Line! Tammy & Victor are in their taxi, trying to stay calm. Not as calm for the other two teams. Luke still doesn’t have his last surfboard and Margie tells him to work with Jaime.They meet in the middle and Luke immediately points to the first surfboard of St. Christopher, the only one Jaime needs. “I don’t remember seeing Jesus on the first one!” Jaime exclaims, “Oh God, we DID see Jesus in the first one at the church!” She completes her fence and Cara tells her to help Luke out. No problem because she would never have gotten Jesus she says. One by one, Jaime turns over her boards to show Luke until finally he realizes he is missing the scorpions of Beijing. Jaime & Cara run to their taxis and are off, leaving previously leading team Margie & Luke now last at the final Road Block. Luke is upset with himself in the taxi, crying and Margie tries to comfort him, telling him they did the best they could. Jaime beats herself up over the Road Block as well, but Cara says she isn’t anything but proud. Shots of the beautiful Hawaii coastline and then Tammy not being able to control her excitement on the way to the Finish Line. We then see Phil on the big Mat and the teams getting ready to applause as Tammy & Victor run down the golf course. Phil brings up Victor being emotional at the Mat and he says he’s tried to enjoy the Race as much he can. Phil asks Tammy how she feels and she first says “I have no pants on!” then explains that she’s managed to prove herself to her brother and that they can work together as equals now. “I’ve learned that the nerdy little Asian girl who could barely hold up her backpack before can do quite a bit,” she says. Jaime & Cara then run in and are officially Team #2. Jaime blames herself again, but Cara says it’s a team game and them finishing the Race together is what’s important. They feel enriched and empowered by them as two females beating out the competition they’ve faced. Still in their taxi, Margie tells Luke how proud she is of him, how the experience is worth more than a million. They exchange “I love you”s and kisses and then finally arrive at the Mat. Phil officially declares them Team #3 and then asks Luke that surely he can proclaim his mother really is the Bionic Woman. Everyone agrees and Phil asks him what makes his mother special. He says he is lucky to have a mom who can sign and communicate with him. Margie is ecstatic with seeing her son go through the Race just amazed at their experience. Luke says he is proud to show that deaf people can do anything. The teams rush the Mat and the hugs and kisses begin. Victor concludes the show saying he’s always gone through life doing what was expected of him, but now he feels you don’t always have to go by rules and that you can have a lot of fun doing the crazy, unexpected, and unconventional and it can make life interesting. This was probably one of the most exciting and thrilling finales TAR has ever had. Non-stop action throughout, it was “go, go go!” from the moment they touched down in Hawaii. Loved the lechon/pig preparations and the random strength challenge with carrying it down the beach. And with this being the first time we’re ending in Hawaii, it is great seeing the beautiful, local culture being in the spotlight instead of being just a stopover on the way to the mainland. 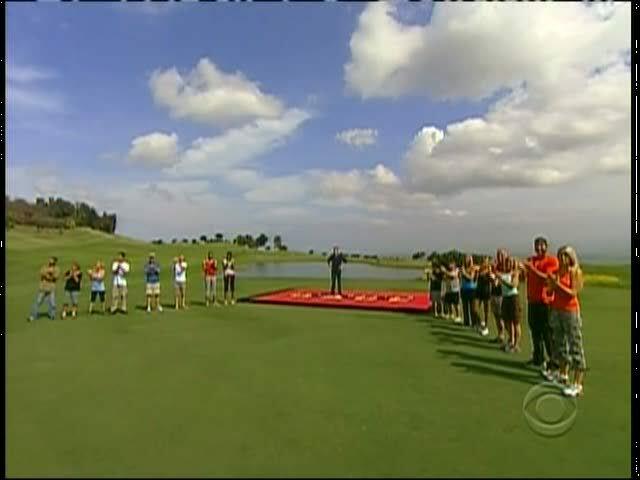 It was great having the final Road Block back (as opposed to last season’s team effort), but it was nowhere near as hard as the TAR12 Road Block that did in Ron & Christina. It was stunning seeing Margie & Luke lose their huge lead, not only getting beat by one team, but falling to last place. And then seeing Jaime fly through the Road Block with the possibility of them maybe sliding out a win had their taxi driver knew where he was going. Still, it was a great win for Tammy & Victor, who with Margie & Luke, were a dominant team this Race. Very deserving and probably one of my favorite winners of the 14 seasons. My full-on reflection and wrap-up of TAR14 tomorrow. Tammy & Victor – A deserved win for them. Other than that horrible leg in the mountains of Transylvania, they really were one of the top teams. They worked well together, they were strong competitors and they pushed forward when they needed to. Great win. Cara & Jaime – As much as Jaime was a feisty individual, both of them really showed their competitive spirit and determination. No question they wanted to win and they pushed themselves and each other (in varying degrees of intensity). 2nd place is not bad for them. Margie & Luke – One of the dominant teams, if not the strongest on this season. 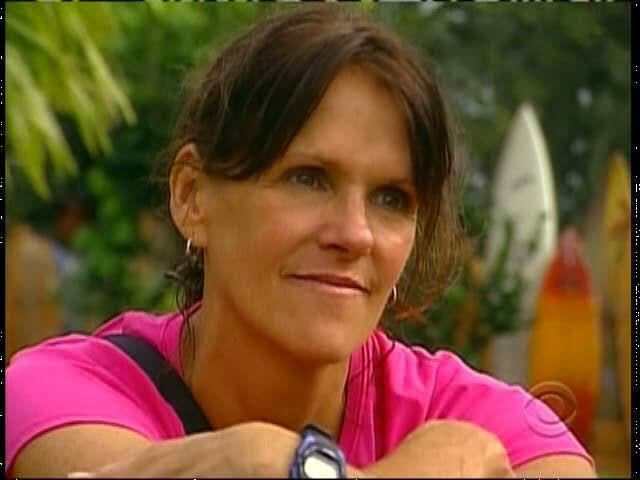 Luke being deaf wasn’t a factor and Margie especially is one of toughest women to ever run the Race. Still, Luke couldn’t the handle the pressure and I guess the Road Block in Russia was foreshadowing to him breaking down in the final Road Block. Still, moving past their out of leg sneakiness, no doubt they were strong.